The north side of the Sorrento peninsula is softer and more populated than Amalfi. This citrus scented coast is popular with English tourists who come for the wonderful scenery, fine old buildings, to visit Pompeii and make forays into Naples. 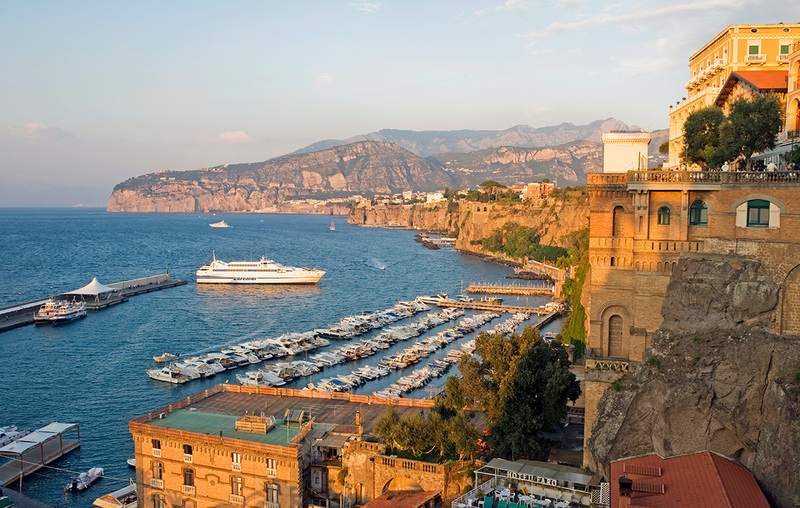 Sorrento looks appealing from seaward with its straight-edged cliffs, two animated harbours and rambling Italianate town. Moor in Marina Piccola to explore the tantalising prospect of quiet streets, busy streets, unexpected squares and civic gardens. Not far west of Sorrento, under the crook of Capo di Massa, you can anchor off a secluded beach where the water is clear and deliciously warm. On the west shore is Karama Yacht Vela Club and behind the anchorage is a very old estate – La Villanella – thickly planted with olive groves, lemons and vines. High on the headland is the Villa Angelina, once an imposing Victorian residence and now an education centre. To me the Sorrento coast is the finest part of the grand Gulf of Naples, from where you can view the city and Mount Vesuvius from just the right distance across a glittering blue foreground. But keen sightseers may want to visit the Roman ruins at Pompeii, Vesuvius itself and the many treats Naples has to offer. 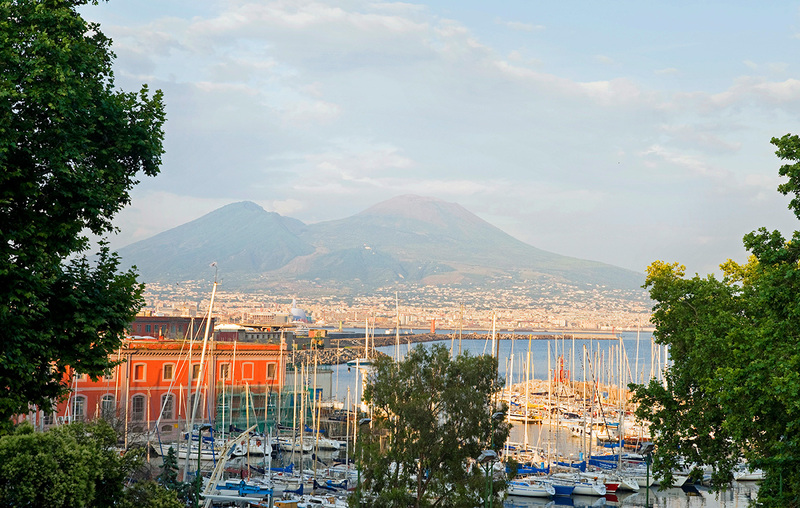 Eight miles north-east of Sorrento, Marina di Stabia is a large secure marina where you can leave a boat safely for trips ashore. Run by MDL, this friendly base is handy for both Vesuvius and Pompeii. For visiting Naples, Marina Molo Luise at Sannazzaro is a secure city billet, though it’s worth booking a berth (email: luise@luise.com). From Mergellina station at Sannazzaro it’s half an hour on the metro to Naples central. Alternatively, stay in Capri for a while and whizz across to Naples quickly and stylishly by hydrofoil.